If there is anything I quite like doing during the colder months, it definitely has to do with being cosy. I want my room to be cosy, warm and inviting while smelling lovely all day. Like many people who work/study full time, I am absolutely exhausted when I get back home so an inviting room is a must for me. 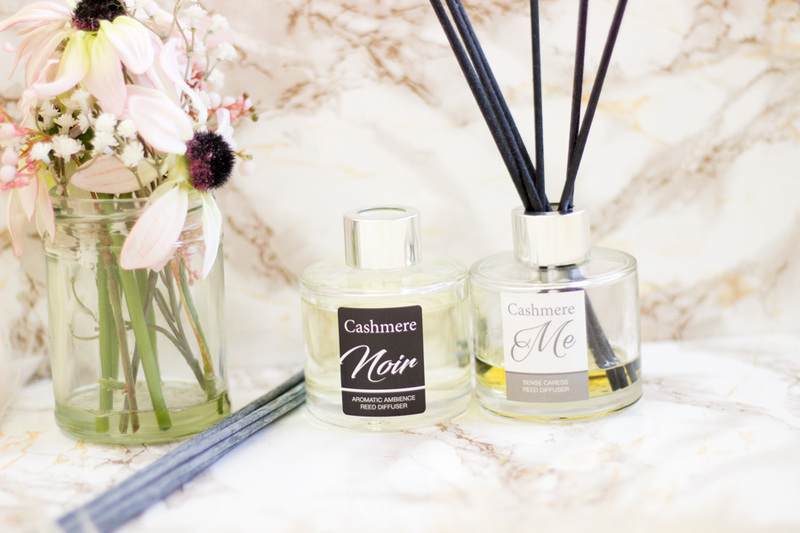 Some of the things I do to ensure my room is inviting and I feel relaxed include lighting up a candle (or 2 when I am feeling extra), having a warm bath, changing into comfy lounge wear and spritzing my room with my favourite room mist. If you read my blog regularly, you'd know that in the past year I really got into candles and fragrances. I have tried quite a few brands and I love them all. I think Fake Bake Beauty must have been the first brand I tried a full range of home interiors (candles, fragrance mist and a reed diffuser). 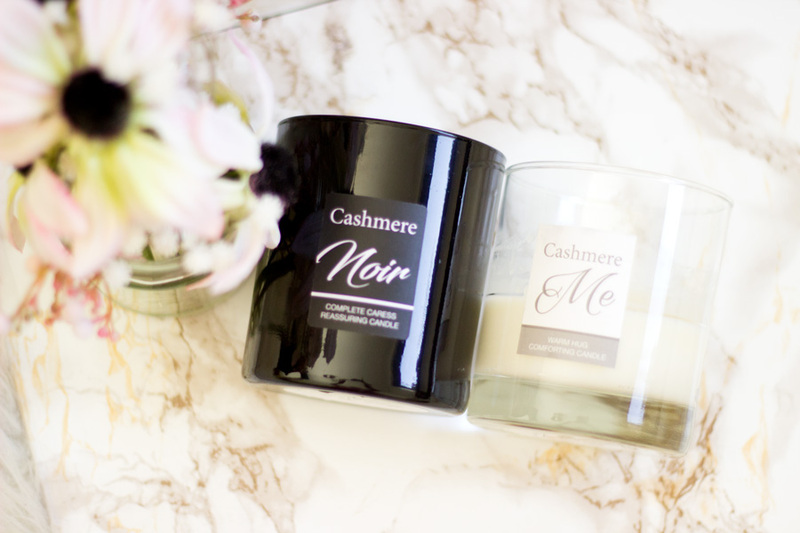 Back in 2015, I was kindly gifted the Cashmere Me range which I still enjoy a lot. 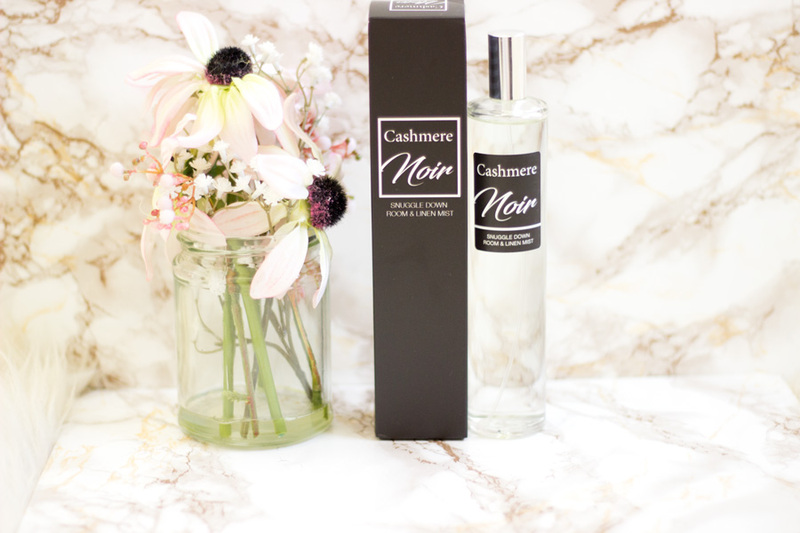 Towards the end of last year, they also kindly gifted me the sister version- Cashmere Noir. I have given all the products a good try so I thought I'd report back on how we fared. I am sure many people know Fake Bake for their tanning range which I've heard many amazing things about. However, I am such a huge fan of the Fake Bake Beauty range which includes makeup, skincare and gift sets. I have a quite a few posts on Fake Bake Beauty products here on the blog which I'd link here if you fancy a read. 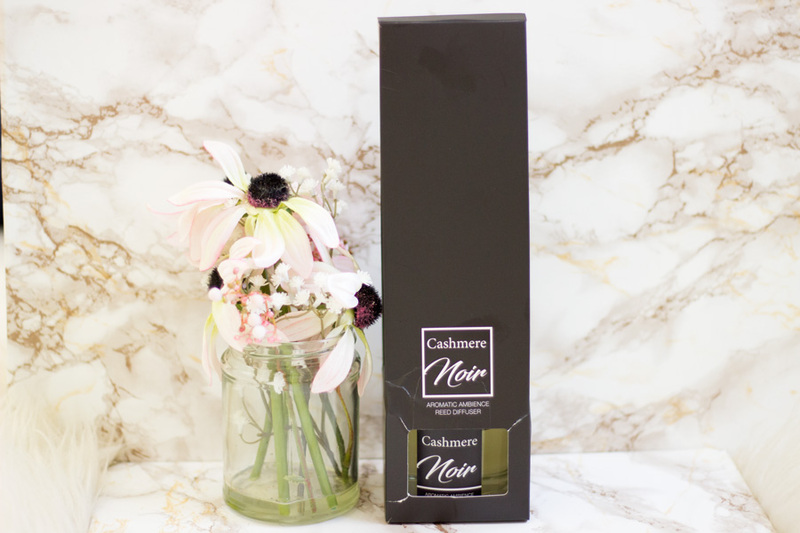 I really enjoy their products and I am even more delighted that they have kept their prices affordable while maintaining really good quality. 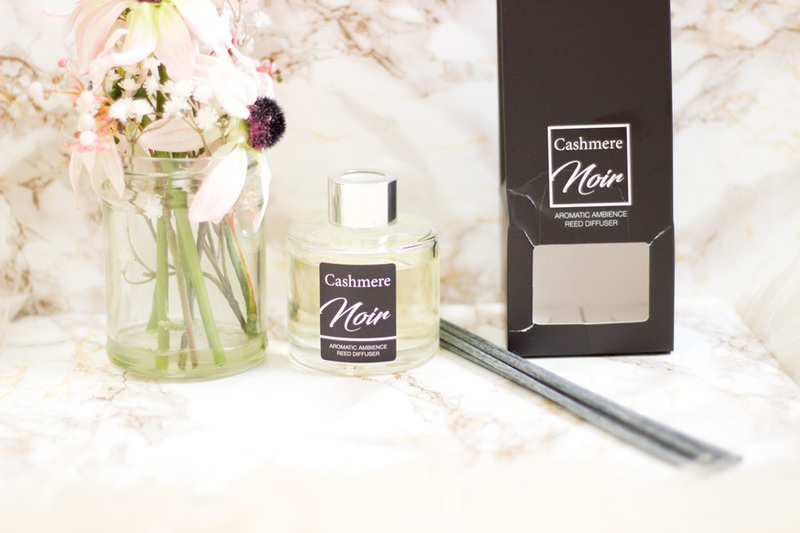 The Cashmere Noir Range is described as an escape to an exotic paradise and I have to say I can't argue with that description. The range is made with a blend of Vanilla, Moroccan Jasmine, Black Cardamom Spice, Pomegranate, Raspberry and Amber. 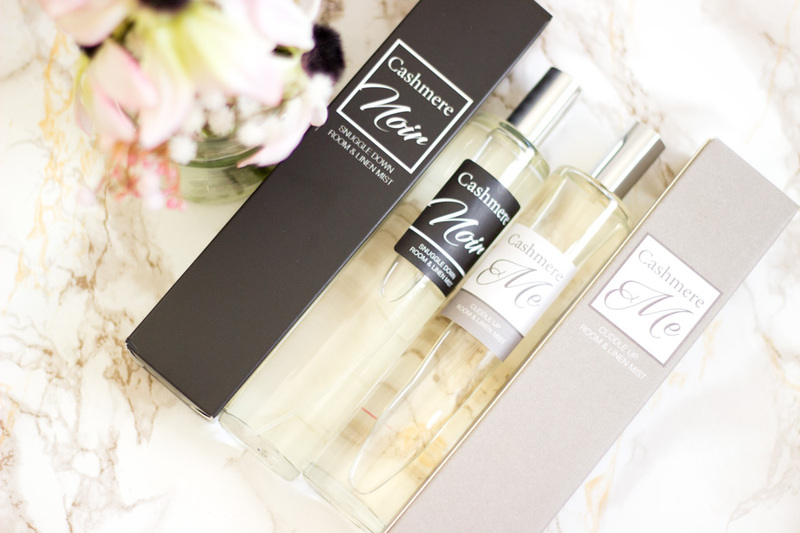 It smells so exotic and I love the addition of Pomegranate and Cardamom Spice as it really takes the fragrance in the range to another level. 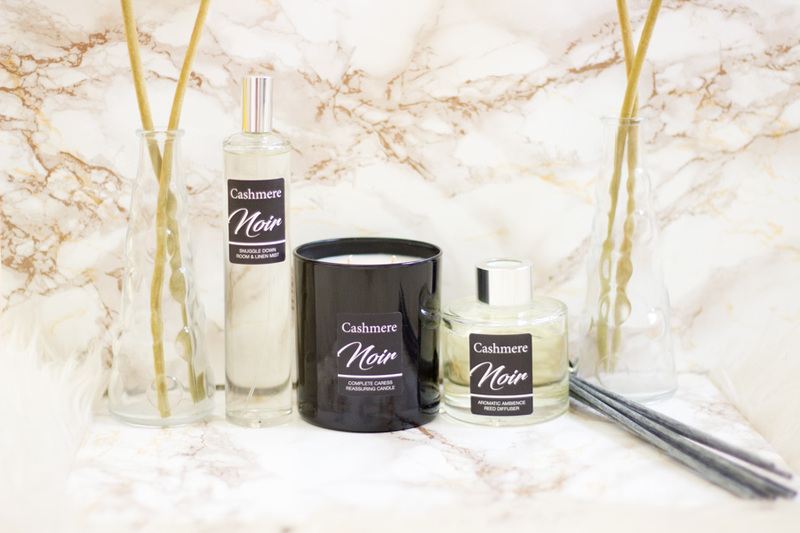 The Cashmere Noir Range has three products which include the Complete Caress Reassuring Candle*, Snuggle Down Room and Linen Mist* and the Aromatic Reed Diffuser*. 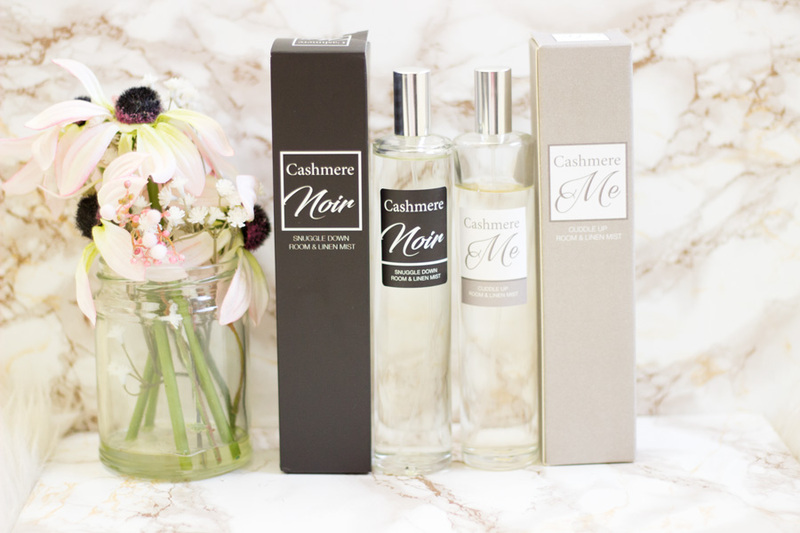 I was so delighted to receive all the products within the collection especially after I had enjoyed the Cashmere Me range. 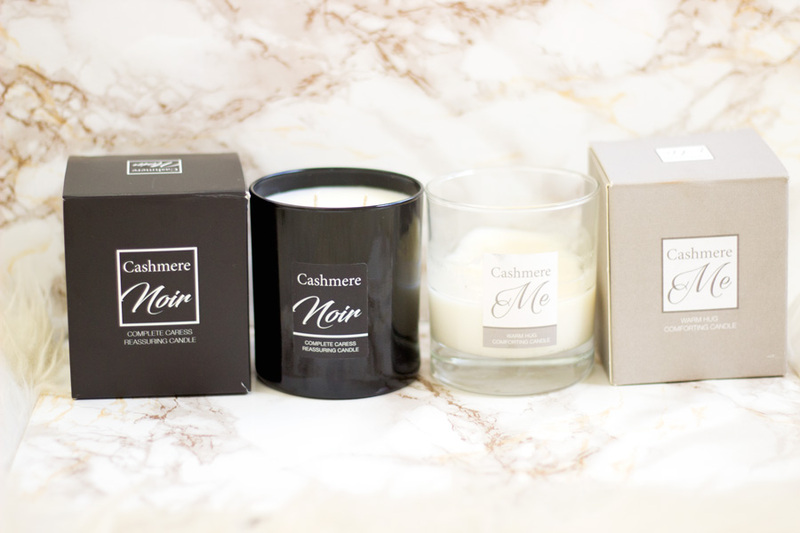 I love candles and I do have quite a few in my collection but I don't think I own any in a black jar so I was really pleased to try the Cashmere Noir Candle. I love how elegant the jar is and how Fake Bake Beauty have utilised a minimalist approach in its design. Truly, less is definitely more!! The candle is a quite a decent size (about 220g) and I do not see it running out any time soon (my Cashmere Me lasted me ages even though I burnt it quite frequently). It has two wicks which I love because I feel it releases its fragrance better than with one. 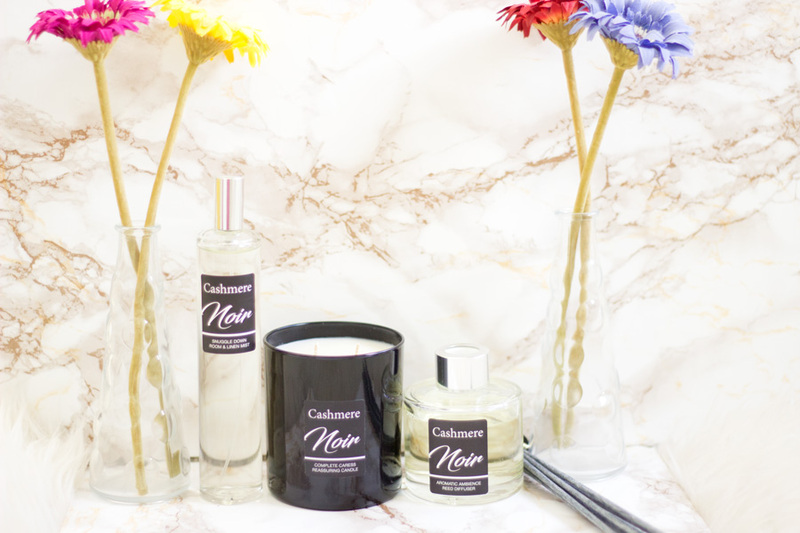 If you are precious about candle wax, you'd be pleased to know that it is made from Soy Blended Wax and it is hand poured here in the UK. 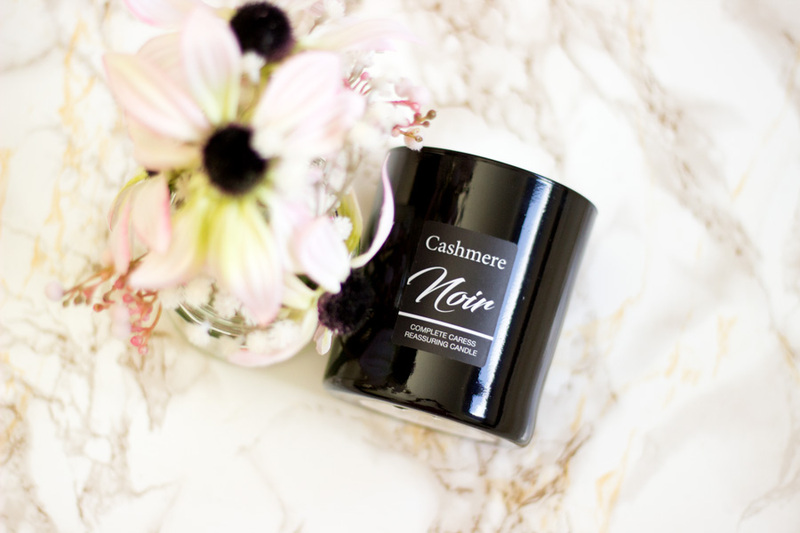 It also offers up to 50 hours burn time and I do find that to be true based on my previous experience with the Cashmere Me Candle. I always give the wick a nice trim before every burn because that really helps it burn evenly, last longer and prevent any tunnelling. 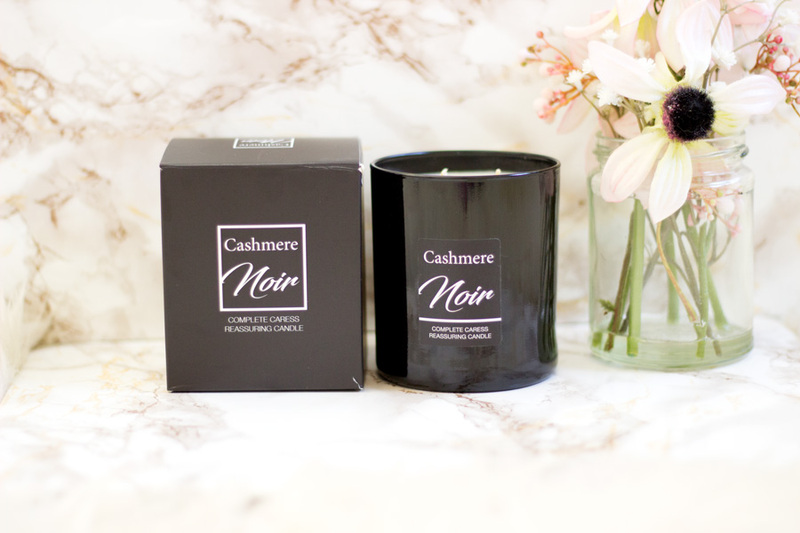 The fragrance of this candle is perfect for winter or cosy cool night. 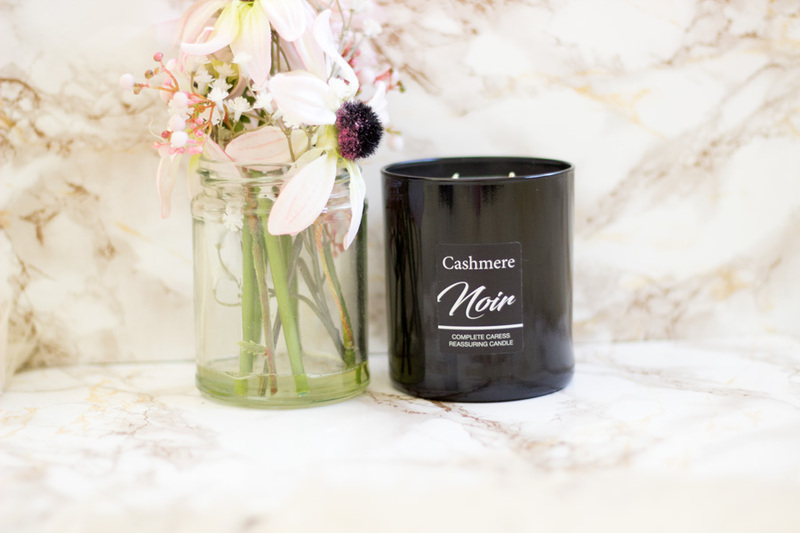 The actual blend of the candle includes the following ingredients: Pomegranate, Plum, Rhubarb, Rose, Pink Peppercorn, Cedarwood and Patchouli. The floral scents are well balanced with the musky fragrances and I think that's why it is such a beautiful candle. It's quite fragranced so it is bound to fill a small bedroom and I guess it may exude a lighter fragrance in a larger room. My bedroom is a medium sized one so the fragrance is just right. For £20, I think it is an absolute bargain. Of course, I can't wait to store my makeup brushes in the jar when the candle eventually runs out. 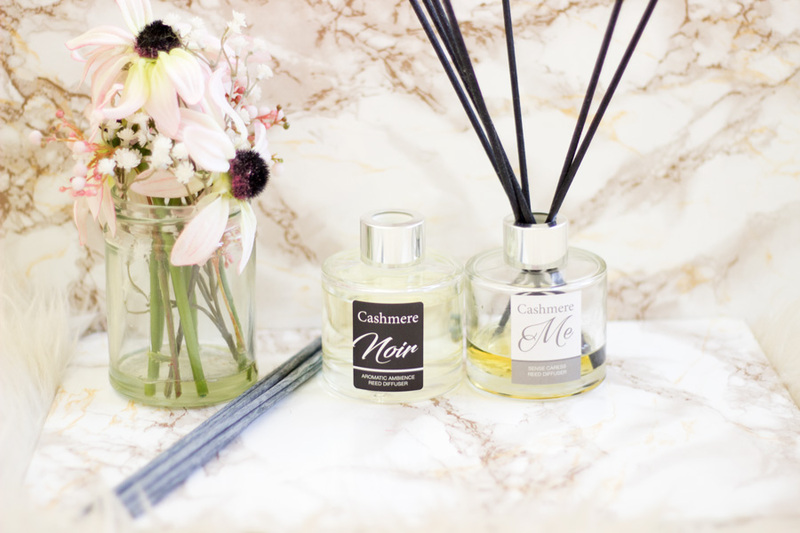 The next product from the range is the Aromatic Reed Diffuser which I think really spruces up any space. 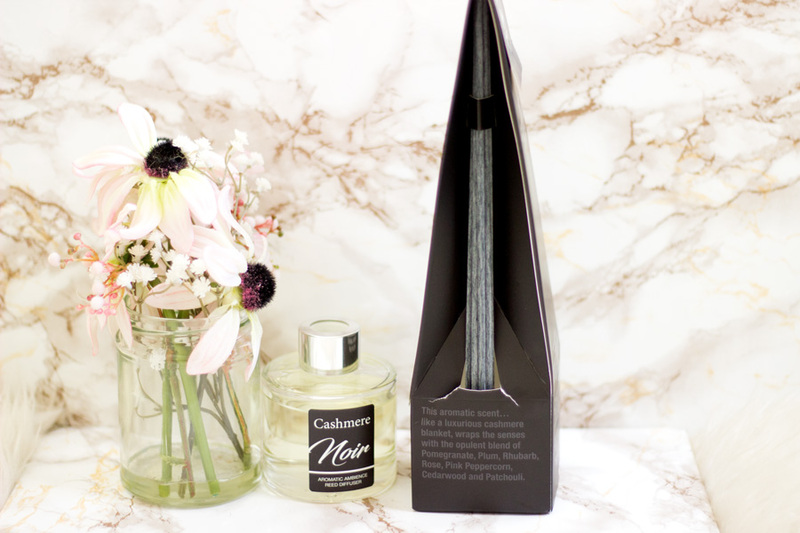 I don't know what it is about Diffusers that make them transform any room to a lush one. 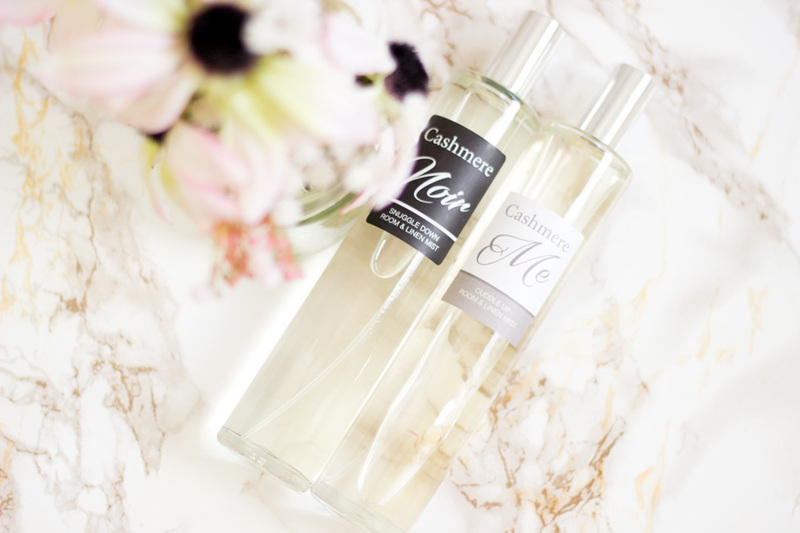 I really enjoyed the Cashmere Me Diffuser and mine is on its last legs. I do have to say it lasted longer than I expected. 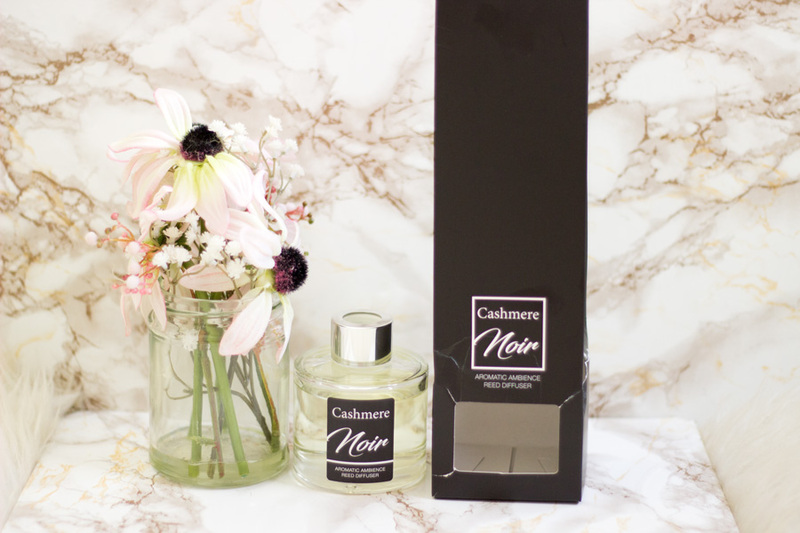 On the other hand, the Cashmere Noir Aromatic Reed Diffuser appears to have a stronger scent compared to the Cashmere Me version and I am pleased about that especially for the colder months. I always try to rotate the reeds so that the fragrance that fills the room even better. I won't say it is the strongest diffuser I have tried but for the price range, I think it is very impressive. I currently have it in the living room and I may rotate it to my bedroom to see if it performs differently in a smaller room. I think the end of 2015 was when I really got into Room & Linen Mists and appreciated them even more. I've always thought it was such a "mummy" or "granny" thing to do but I am totally loving using them (maybe I am inching towards being a gran; who knows?). 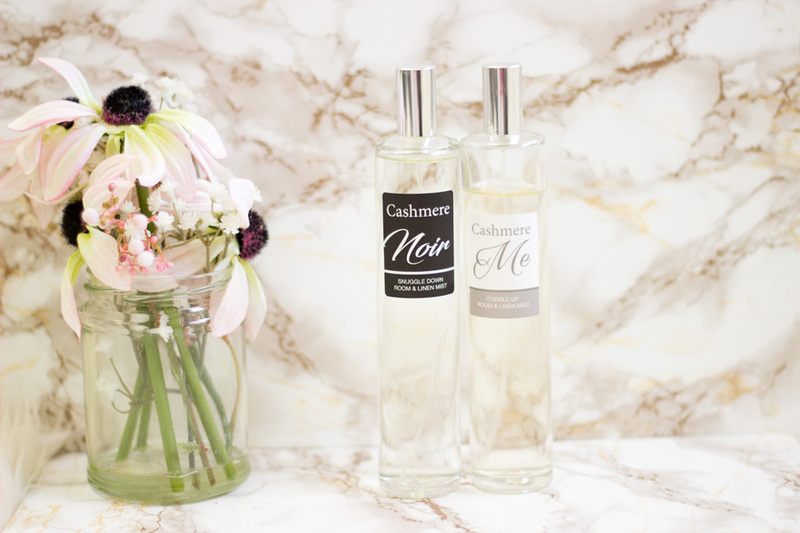 Room and Linen Mists are amazing at refreshing both the bedroom and any linen you may have. 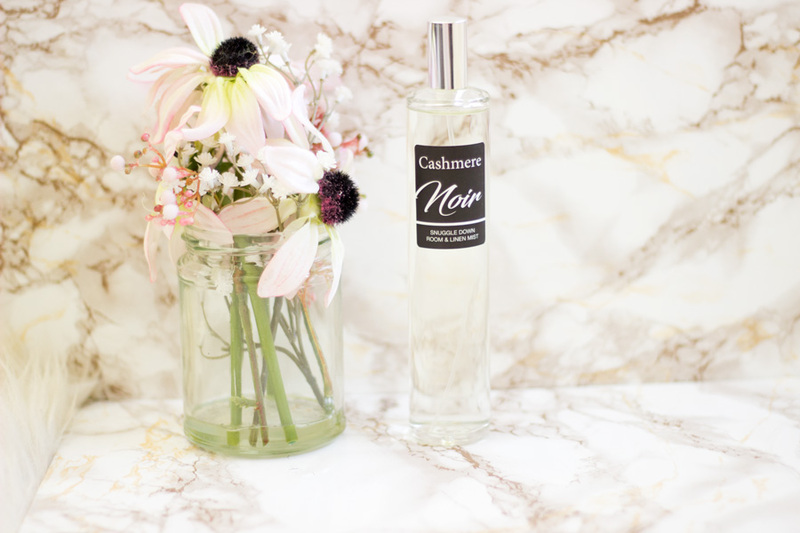 The Cashmere Noir Mist can be used for the room, bed linen, throws, nightwear, etc. I use it for all of the above and it works so well. I was scared that it may be too strong a scent for my night wear but it's not. It settles to such a warm scent and it really is quite inviting. I love to give my room a quick spritz before I go to work because I know that a warm inviting room awaits me when I get back. I also spritz my bed linen whenever I lay my bed so that it's fresh for my return and any night sweat is banished until I change my linen. I love it and again for the price, I think it's lovely. 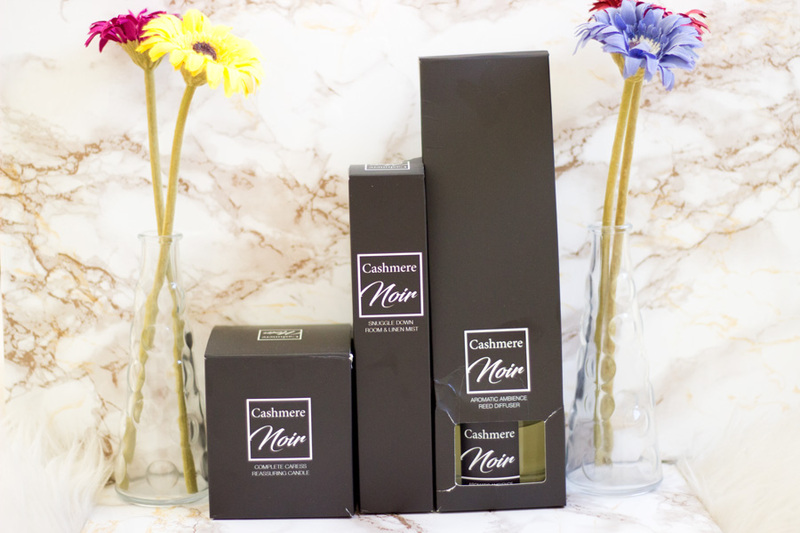 You can purchase the Cashmere Noir Range mainly from the Fake Bake Beauty website or from one of the Beauty Consultants. I love the idea of them creating entrepreneurs via their Fake Bake Consultant system and I think it's brilliant. I do sometimes wish I could pop into a store and purchase some of the products on whim.